We Buy/Sell Gaylord Boxes MA. We can provide you with lightly used corrugated cardboard and gaylord boxes anywhere in the state of Massachusetts. We have boxes from 2 to 5 walls in various sizes currently available throughout the state depending on customers needs. We recycle old corrugated cardboard and gaylord boxes for customers looking to clear their unwanted inventory. It is vitally important to us that these boxes are properly disposed of, and repurposed correctly. We will incur all of the expenses involved. If you are in possession of lightly used corrugated cardboard or gaylord boxes that you would like to sell, we would be more than happy to take them off of your hands. We will adequately compensate you for each box purchased, and incur all freight costs. 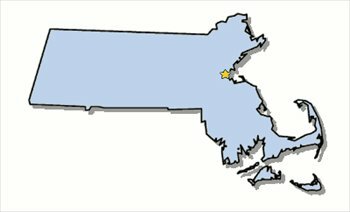 We can provide customers’ boxing needs across the entire state of Massachusetts. We have previously established partnerships in both Boston and Cambridge, however we are currently seeking new partnerships in the cities of Worcester and Lowell. The state of Massachusetts is a pinnacle shipping lane in the Northeast. It can effectively bridge the states of Connecticut, Rhode Island, Vermont, and New Hampshire.. The most popular service we can provide customers in Massachusetts is our complimentary used cardboard and gaylord box removal. We will happily pick up all of your unwanted used bulk cardboard and gaylord boxes at no cost, and we will also cover any and all freight charges. Additionally, if you are looking to sell your gaylord boxes, we will happily purchase them from you. With that said, the boxes must be in either A or B+ condition. Conversely, if you’re looking to purchase lightly used gaylord boxes, simply complete the buyer request form at the top of this page. Upon completion of the box buyer form, we will source your request and be in contact with you in the very near future. We look forward to doing business with you!